Course Website: Official Website - Visit Camargo Club's official website by clicking on the link provided. 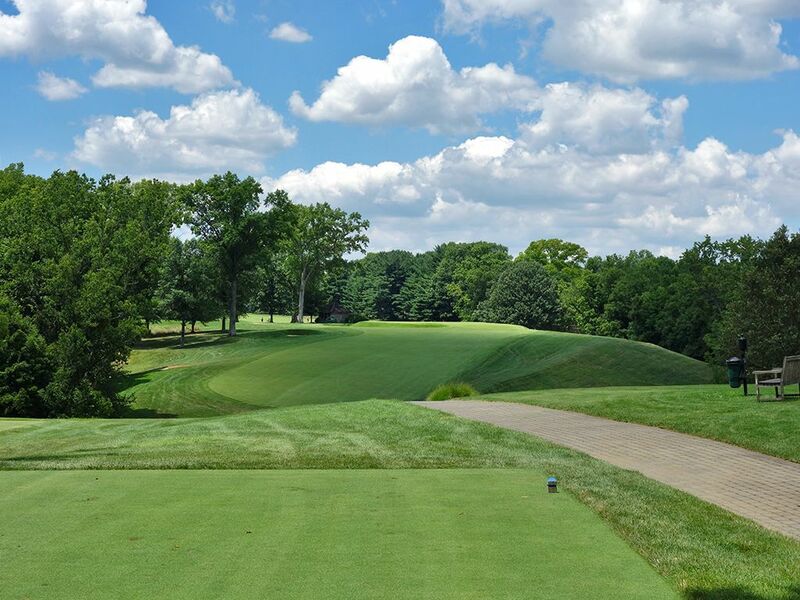 Accolades: Ranked 7th in Ohio on Golf Course Gurus' Best in State list. 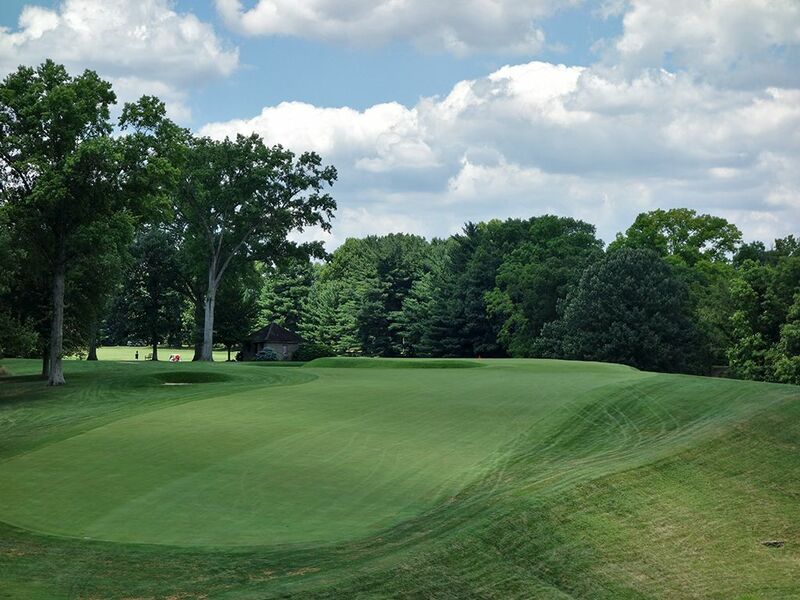 What to Expect: Camargo is an exclusive club with less than 300 members in northeast Cincinnati that embraces its roots with an old school look and feel including in the wood laced locker room and understated pro shop. The Seth Raynor design is located on gentle moving terrain which makes for an easy walk with a caddie, but reduces some of the interest that more engaging terrain invites. The driving range is located on the opposite side of the road from the rest of the course and represents one of the few places you'll see any structure other than the clubhouse on your loop through Camargo that is beautifully devoid of outside distractions. With wide fairways, greens that average ¼ acre in size, and less than 6700 yards of length from the tips, you would think that Camargo would be a pushover; but those thoughts are misplaced. Tee shots that leave the fairway are often lost in the neighboring foliage and can get you on the bogey train quickly if you don't right the ship. 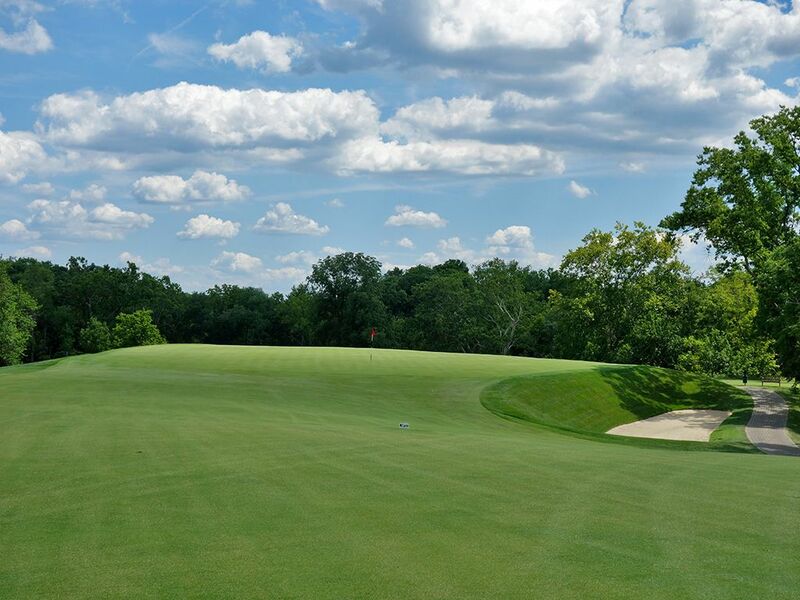 In addition, lagging your putts on the large, well manicured greens can be difficult at times if you haven't learned the subtle slopes that Raynor incorporated. 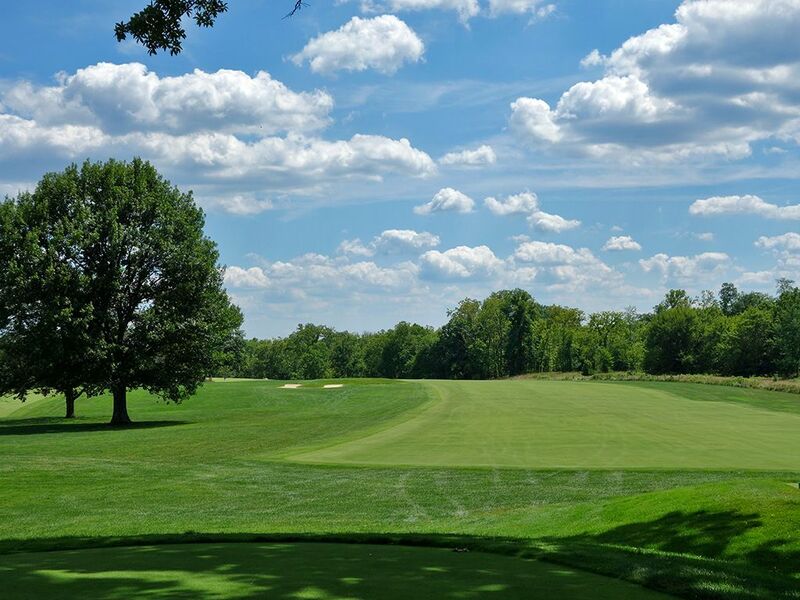 While the two par fives on the course garner little attention with the 17th being a Road hole effort that was formerly a par four and doesn't live up to the strategy of the original, where Camargo really shines is with its one-shotters. Few clubs in the world rival the par threes Raynor incorporated here with Eden, Biarritz, Short, and Redan all making an appearance. I loved the Alps/Punchbowl par four 7th and enjoyed the Cape 13th, but it is the par threes that highlight the golfing experience at Camargo and should be used as a model of what virtually any club could do whether they had flat ground or dramatic terrain to work with; they are simply works of art and strategy. As a side note, while walking is encouraged at the club, carts are available and are particularly nice during the hot and humid summer months. 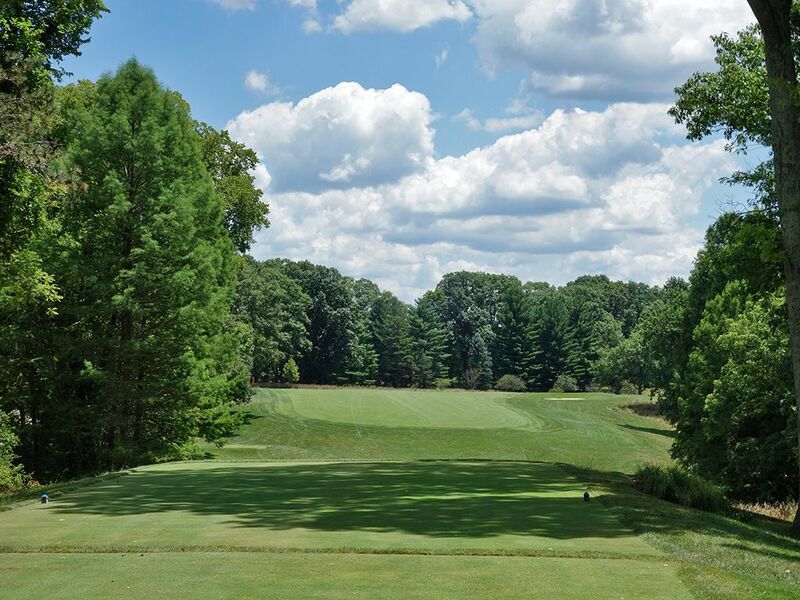 Ultimately, while the course could benefit from some additional restoration work that eliminated Von Hagge's heavy hand on the property and highlighted its Raynor roots, Camargo is an understated club where getting an opportunity to play is a privilege only a fool would pass on. 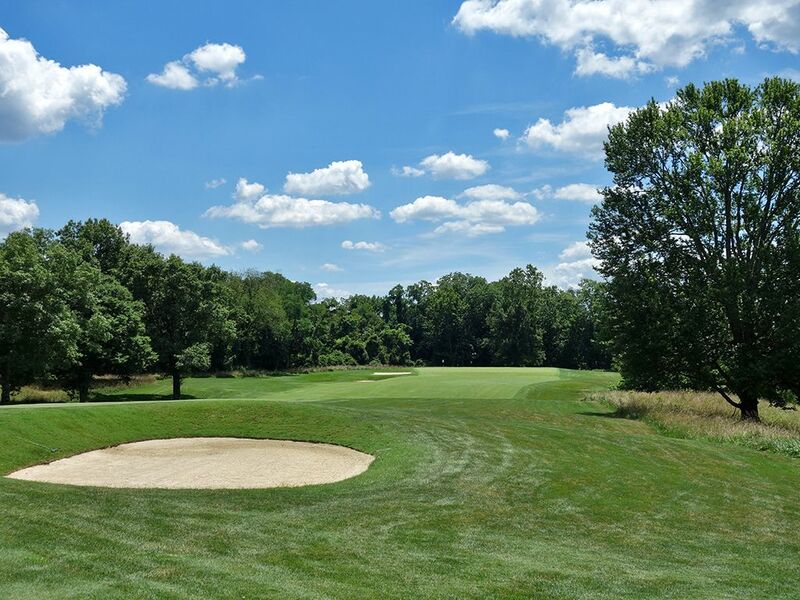 Signature Hole: 5th (Eden) Hole – 179 Yard Par 3 – Do a Google search of Camargo Club and the photo you’ll see most often is of the Eden hole, the first par three at a course known as having one of the best collections of one-shotters in the world. Camargo’s brilliant Eden rendition features a penal Hill bunker on the left side that sits some 20 feet below the putting surface and represents an absolute death trap for most amateur golfers. On the right side is a ‘L’ shaped bunker that wraps the side and then along the back which essentially does the job of the Strath, Eden, and Shelly bunkers found at the original Eden hole at St. Andrews. The ideal shot starts at the right third of the green where an opening to the putting surface exists and then draws in towards that day’s pin location. 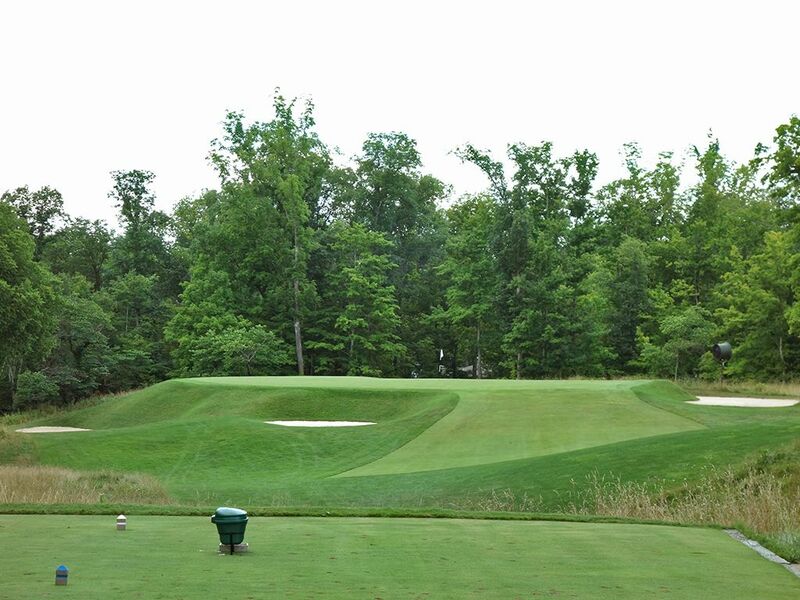 It is a fantastic hole with sharp lines, good contrast, and requires a strong tee shot. Best Par 3: 11th (Short) Hole – 140 Yards – The easiest green to hit on the course that features a thumbprint indention on the left side and can cause some challenging putts to contend with. The raised green sits a good ten feet above the three bunkers that front and flank the sides of the putting surface with steep faces kicking balls into the sand. Ultimately though this is a good birdie opportunity with a big target to hit and a short club in your hand to attack it with. While they aren’t featured in the review, the Biarritz 8th and Redan 15th finish off one of the most impressive collections of par threes Macdonald or Raynor ever did. Best Par 4: 7th (Alps) Hole – 427 Yards – My favorite hole at Camargo comes at the 7th that is named Alps but essentially double dips with another template feature by boasting a Punchbowl green. 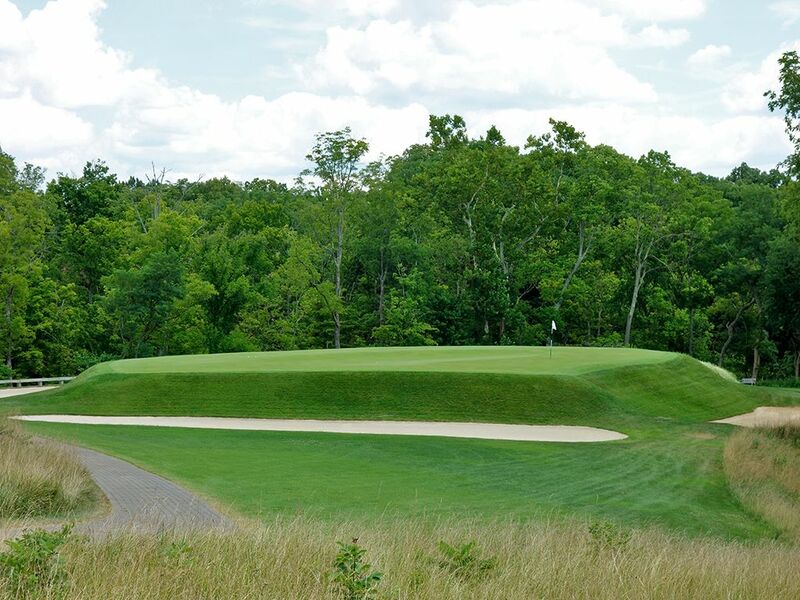 The bunkerless fairway sits above the tee box and raises the level of anticipation as the golfer isn’t totally sure of what lies ahead for him. Upon reaching the tee ball, golfers still stand in some mystery as they catch just a glimpse of the flag that sits in the punchbowl green well below the fairway. Like the original Alps hole at Prestwick, players embarking on this hole for the first time may not realize that bunkering sits just beyond the fairway and in front of the green out of view. The combination of the Alps/Punchbowl design elements paired with the mystery of how close your approach shot will end up to the flag is a fun combo not seen often enough. 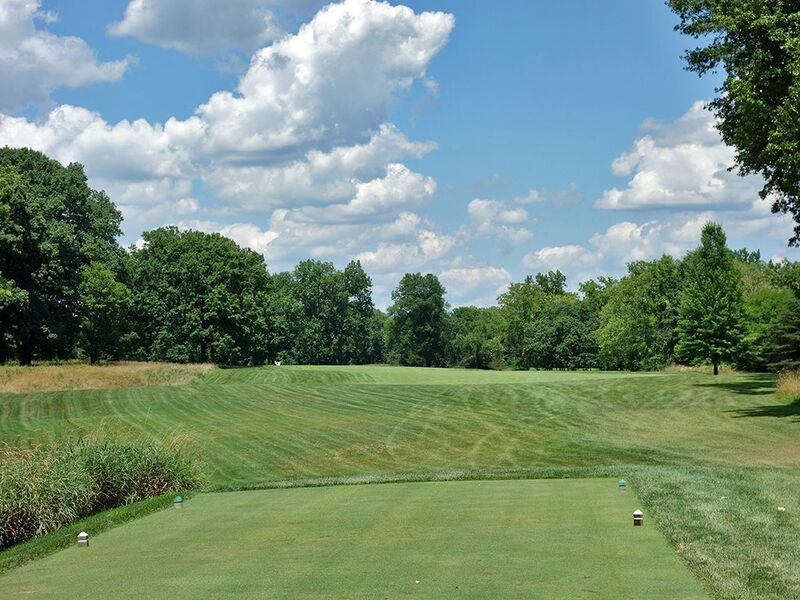 Best Par 5: 2nd (Valley) Hole – 529 Yards – Sitting at a par 70, Camargo only features two par fives and Valley is clearly the superior offering considering the par five 17th Road hole is a poor rendition of the traits that make Road holes special. Here at the 2nd players are faced with a dogleg right that banks at a 70 degree angle before jetting out to the green location. The inside of the dogleg is protected by a bunker and some trees that will discourage players from getting too greedy with their tee shot, but those that challenge the corner can be left with an iron into the green. The approach shot plays to a large square green that features a small pot bunker well short and then three more bunkers near the putting surface on the left side. This hole presents a good scoring opportunity where the most common mistakes will be had with three putting on the massive green. Birdie Time: 3rd (Plateau) Hole – 320 Yard Par 4 – Tipping out at a mere 320 yards, Plateau is ripe for the picking and stands as the third straight birdie opportunity to begin your round at Camargo. A power fade off the fairway bunker on the left is ideal as it drifts to the ideal approach angle on the right half of the fairway. The entire green is encircled by bunkering except for an opening at the front right portion where balls can tumble in uninhibited to the slightly raised putting surface. 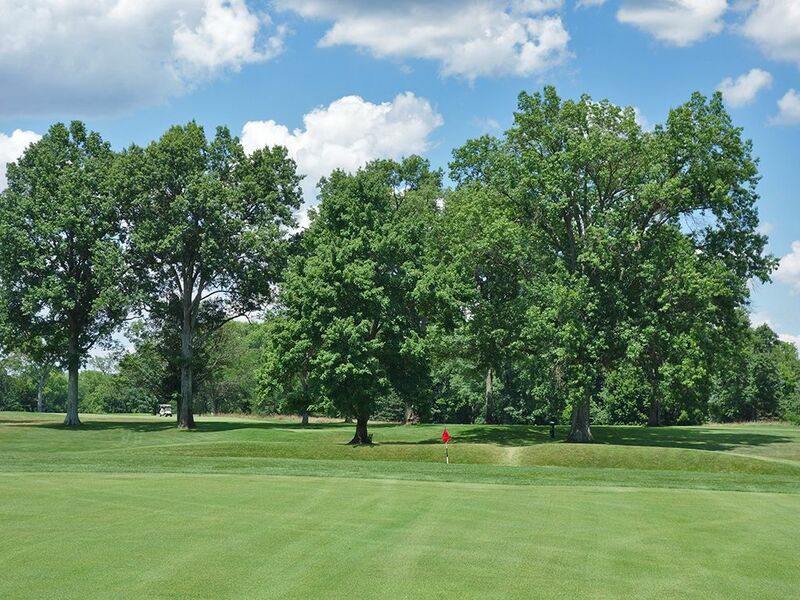 With a wide fairway and large green waiting to green you, take advantage of this birdie opportunity because things get significantly tougher from here. Bogey Beware: 10th (Long) Hole – 441 Yard Par 4 – The back nine opens with Camargo’s stiffest test and is appropriately named Long. The tee shot plays to a fairway that slopes right to left when the shape of the hole is left to right so shaping your ball to the terrain can present quite the advantage while not doing so starts stacking the deck against you. 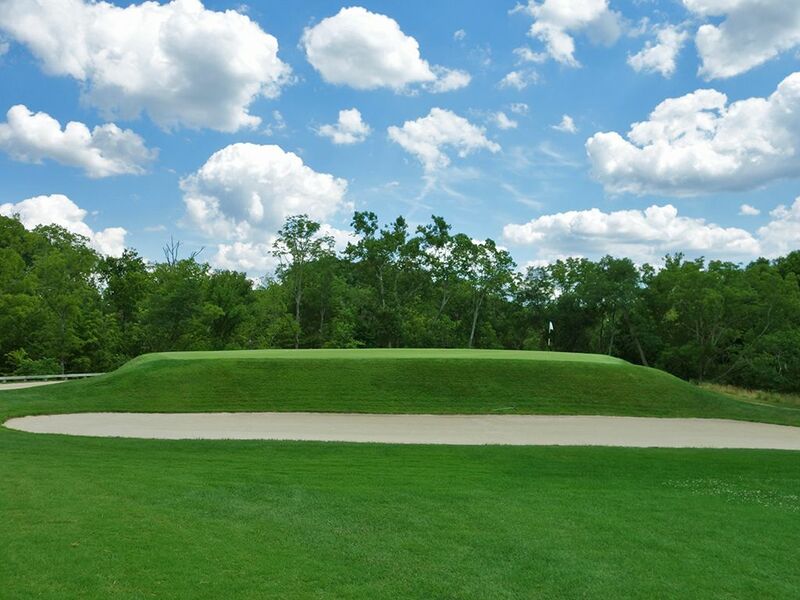 A unique shaped bunker that is reminiscent of an exaggerated musical note presents itself in the driving zone left of the fairway while sections of ball-eating foliage consume drives that go too far wayward either direction off the tee. The approach shot plays to a domed green that runs away off the back right and is flanked by a very deep bunker on the right side where the terrain wants to kick balls. A low running shot up the left side of the green is the best way to approach this hole before trying to navigate the large sloping putting surface that knows how to yield its fair share of three putts.